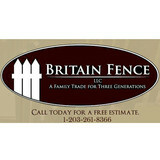 Hartford Fence Co. professionally installs quality fence materials at a great value. We have found a lot of success by keeping it simple, and not over-promising. We aim to be responsive, well paced, honest and true to timelines, and that the customer is happy with the end result. Those 5 things, together... always work. Especially, in the Fence Industry, as I have found. Our goal is to provide customers with an enjoyable experience, through every step of the process. From the first phone call, to job completion. Doing this means excellent customer service, provided by a knowledgable staff that can actually answer your questions, and an experienced installation team that does professional work. The Process: - call or email to set up an on-site appointment. This is when we schedule a time that works for you to meet with an installer to take measurements, discuss job details, answer questions, consult on materials, and gather the information to produce the estimate for your project. 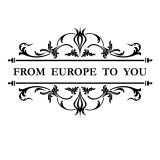 - 24 hours later we follow up with a clear, computer generated quote sent to your email. This will provide you with the pricing for your project for the options you discussed at the on-site appointment. We encourage you to call us with any questions you have after reviewing the quote. It is very important to us as business to ensure everyone is on the same page before proceeding. - With your signature of approval, and deposit for materials, we then schedule your installation date. The balance of the quote is due upon completion of the job. The Way We Work - We only install quality products and materials. And we install every job the same; well planned, and done with exceptional attention to detail. 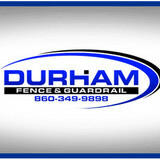 We take pride in what we do, and we give you a great looking fence. Brian Jones and his family know good fences. Their years of riding and farm living are the foundation for building the best systems around. And he knows more than fences. Litchfield Hills Fence Company offers the gamut of services needed for country living: taking pride in their own line of horse safe-installer friendly Classic Slipboard Fencing, securing smaller animals with kennels that will stand up to bears, bobcats and other unwelcome "neighbors", fabricating custom gates to further enhance your curb appeal, and also assists seasonally with snow removal. Your Waterbury, CT fence installation and repair professional will work with you to create your ideal fence. Fence installation or replacement. If you are in the market for a brand new fence, a contractor’s services will include walking you through various fence styles and materials, determining a suitable height, ensuring that all fence designs and plans are compliant with Connecticut building codes, and that the fencing meets both your stylistic and security needs as the homeowner. Fences and gates must complement the grade of your property as well as the type of soil you have, so the contractor should always plan around these considerations. Additionally, if you don’t know exactly where your property lines are, he or she can commission a survey for you. 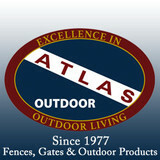 Find a fence contractor in Waterbury, CT on Houzz. 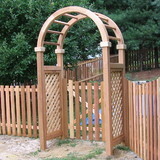 Narrow your search in the Professionals section of the website to Waterbury, CT fence contractors. You can also look through Waterbury, CT photos to find examples of fencing and gates that you like, then contact the professional who worked on them.